Meet the Good Little Citizens! 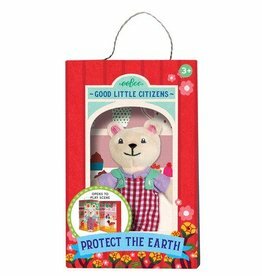 The Good Little Citizen Polar Bear is made from super soft velour and is stylish in gingham overalls and a lavender shirt. 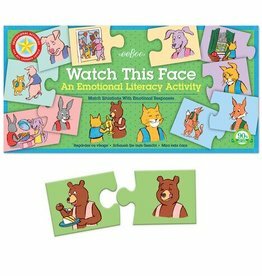 Watch This Face encourages children to recognize facial expressions and match them to the physical or emotional situations that would trigger these feelings. 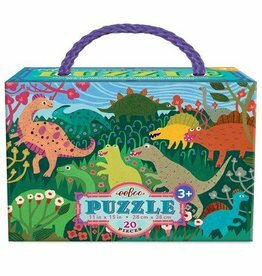 Take a quick trip back in time with the Dinosaur Meadow 20 Piece Puzzle. 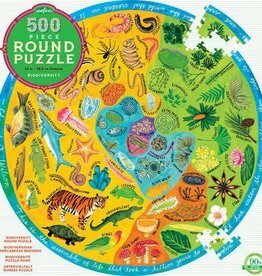 Wonderfully wacky dinosaurs meander in a meadow of wildflowers in this 20 Piece Puzzle, our most popular and bestselling puzzle format. 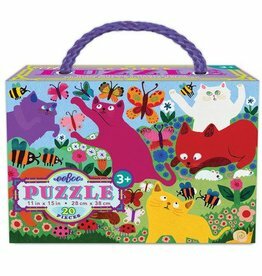 Crazy Kittens play with butterflies in this 20 piece puzzle, our most popular and bestselling puzzle format. 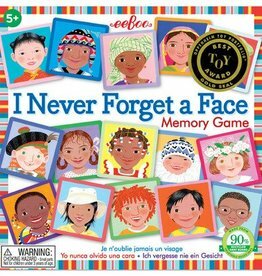 This adorable box contains 20 Jumbo pieces, perfect for little hands. 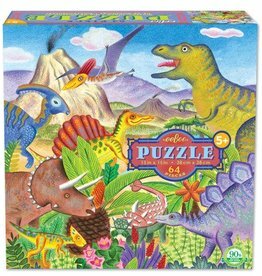 Illustrated by long-time eeBoo collaborator Holly Berry, our new Age of the Dinosaur 64 Piece Puzzle features friendly dinosaurs living in harmony. 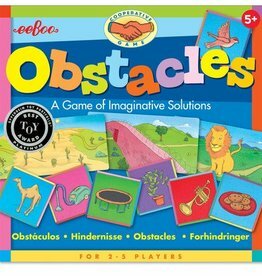 Take on the extra challenge of a round puzzle! As you puzzle, learn the building blocks of biodiversity—the wide variety of organisms that make up all the life on our planet. Make our world what it is, North, South, West and East. 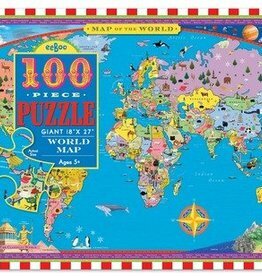 If you spend lots of time looking over this map! 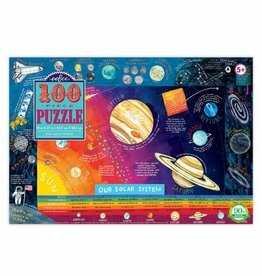 eeBoo’s 100 Piece Solar System Puzzle shows the vast array of cosmic bodies that exist in our corner of the universe. 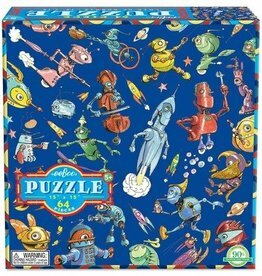 Puzzles are the perfect project for little hands! 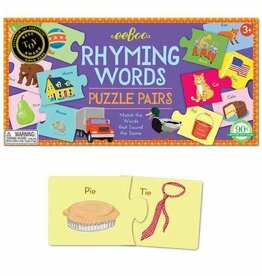 The process of piecing together a puzzle aids in the development of pattern, shape, and color recognition.